present a program of koto music and story telling. and Teen Readers from the Berkeley Public Library. and “Sadako and the 1,000 Cranes”. 925 Jackson Street, Oakland, CA. 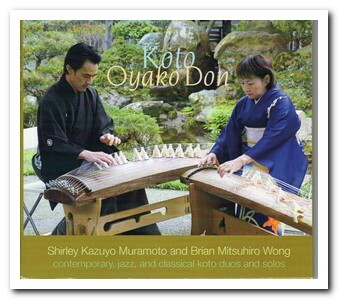 will perform koto works from classical to contemporary. with the Teen Readers of the Berkeley Public Library. 2401 Riverside Blvd., Sacramento, CA 95818 in the main temple. Brian Mitsuhiro Wong, presented his debut concert in September 2007. "Tsubasa Ni Notte" by Tadao Sawai, "Rokudan" by Yatsuhashi Kengyo, "Ishi No Niwa" by Hikaru Sawai, "Haru No Umi" by Michio Miyagi (with Brian on soprano saxophone), "Shaei" by Hikaru Sawai, and a few koto jazz numbers with Eric Garcia/percussion, Colin Hogan/piano, and Tommy Folen/bass. Special guest koto performers are Shoko Hikage, Shirley Muramoto, Kanoko Nishi, Felicia Bock, Sydney Paderna, Kathryn Hobart, Evan R will be aoberts and Isabella Lew.